Core Content For Bloggers || Should You Create It? Earn A FREE Essential Oil Starter Kit! Happy Sunday friends! This is one of my favorite days of the week. Unless it’s wrestling season, our Sundays are usually spent going to church and hanging out with family. Today is no different and I love that. I truly believe everyone should have one day a week where they unplug and enjoy the present. Today’s task won’t really interfere with that too much. We are going through our digital photos! It should be fun, since who doesn’t love looking through old photos? Get the family involved today and have some fun looking through memories. This may look different for everyone, but I am going to give you the basics that you can use as a springboard. If you already have a system you use for your digital photos, great. If not, that is your first step. I use GoogleDrive, but many use OneDrive. I have access to all my photos on my computer and my phone. Set up folders for all of your digital photos. This will take a few minutes, but the time you spend now will save you so much aggravation later. I then break down those folders by year, if it makes sense to do so. My ‘family’ folder is broken down by year because that makes it easy for me to find photos I need. My ‘blog’ and ‘coaching’ folders are broken down by project. You’ll have to come up with folders that make the most sense for your life. Once you have all of your folders set – it is time to fill them! This is the fun part. Go through your photos on your computer, on your phone, on your social media and decide what photos you need and want to keep. be sure to place them in the correctly labeled folder. As you do so, delete those photos you don’t need – the blurry ones, the duplicates etc. 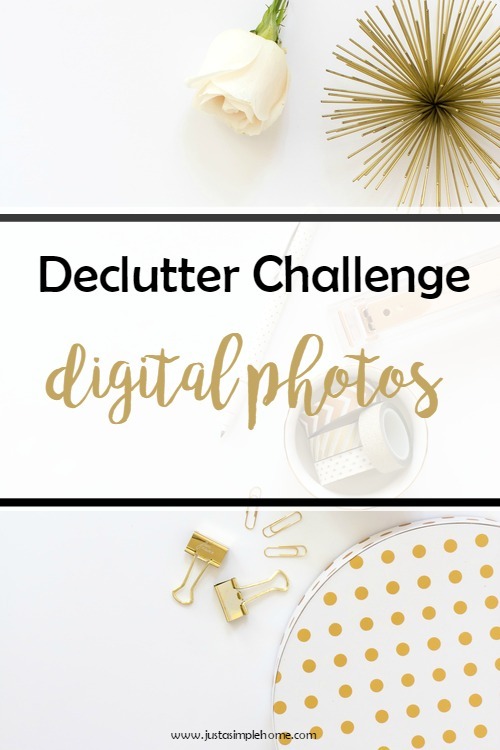 Now that you have taken the time to organize your digital photos, keep it up! If you take a few minutes each week to make sure you place your files in the right folder, you’ll not only always have access, but you’ll be able to find that photo when the need arises!